Three restaurants who normally open their doors for dinner service only, make an exception in the month of December. 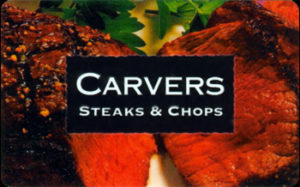 Carvers, Jay’s Seafood and Fleming all will be serving up special lunches for your holiday celebrating. 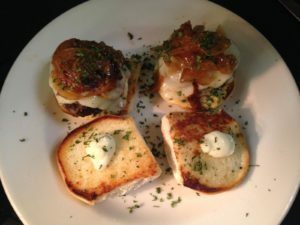 Reservations are suggested, as many diners will take advantage of these special lunches. 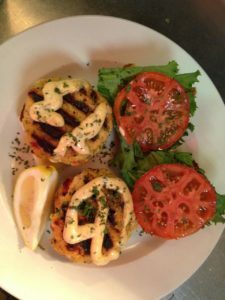 Lunch menu includes fresh fish options like wild cod, swordfish or tuna, salmon crepes, fried shrimp and a prime rib sandwich . 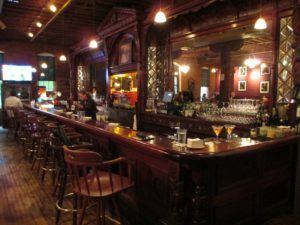 One of the best things about meeting friends for lunch during this holiday season is the additional choices we have from these restaurants that have added lunch hours just for December. From experience we suggest you may want to call for reservations! Happy February 13th; Jazz saxophonist Wardell “the thin man” Gray was born on this day in 1921, he was a major contributor to one of the great periods of jazz creativity that ushered in modern jazz. Check out Wikipeda at: http://en.wikipedia.org/wiki/Wardell_Gray for more information. 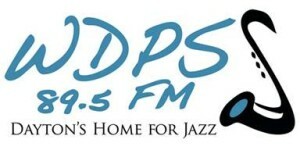 WDPS-FM is Dayton’s only jazz radio station. A non-commercial radio station; however, they do accept underwriting. They broadcast from the new David H. Ponitz Career Technology Center in downtown Dayton. The station is staffed by students and the following volunteers: Clay “The Cooker” Collins, Paul and Patti Gehred, Charles “The Ice Man” Stone, Kyle Fisk and Amanda Romero, Slammin’ Steve Wilson, Clifford Darrett, Jim Woodford, Mike Reisz, George Balog, Jazz Cat & Deb, ChrisSmith and program manager Chris “Hippie” Hartley. 4 years ago as we were preparing to move to our new studios at the David H. Ponitz career technology center. We decided to make a change in the format of the district’s radio station. When exploring the radio dial in Dayton I found that there was an underserved group of listeners; Jazz was just not getting its due in Dayton radio. I made the announcement that The Dayton Public Schools’ radio station would become “All Jazz All the Time.” To begin to promote the new format I sought the advice of two people, Ron Gable of Jazz Advocate and Clay “The Cooker” Collins. After our first meeting we formed a partnership that i feel has benefited the Dayton Schools, Jazz Advocate and the local Dayton Jazz Scene. That partnership has sprouted many projects including, work with the Gabriel Foundation, hundreds of hours of on air promotion of local jazz events, free Jazz Listener Appreciation Concerts and much more. One of the most noted outgrowths of that initial meeting is Clay “The Cooker” Collins being back on the radio in Dayton! Clay is an incredible talent who volunteers to be on the air each weekday and assist with the training of our students in radio broadcasting. Just the ability to interact with someone of his caliber and experience is a tremendous advantage for Dayton students. At the end of the day WDPS is still a teaching tool of the Dayton Public Schools. Students in The Radio & Television Broadcasting Class at Ponitz work on all aspects of running the radio station and web stream. From on air talent, to spot production, to preparing the broadcast logs. It is all about the students! Giving them exposure to Jazz is a great thing! They come to us thinking they will not like Jazz and leave our program with jazz favorites and a bit of knowledge of the jazz greats. I encourage everyone to listen to WDPS-FM 89.5 Monday through Friday from 9:15 until 4:30 and 24 hours a day on WDPSFM.com. Wednesday, February 13 – Jazz Central presents Blue Wednesday with Jack & Joe Waters and you can Swing Dance with Lizz & Rex Review at the Dayton Event Connection. Thursday February 14 – James & Moore is at C’est Tout Bistro in Oakwood and CityFolk presents Grace Kelly at Gilly’s inDayton. 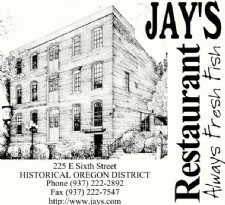 Friday February 15 – The Microcosm Trio is at Season’s Bistro & Grille in Springfield and the Classic Jazz Stompers are at Jay’s Seafood in Dayton. Saturday February 16 – Ron Jones Quartet is at Cincinnati Public Library Atrium and Dave Bixler Quartet is at the Blue Wisp inCincinnati. Sunday February 17 – the Jazz Education Connection Jazz Jam will be held at Jimmy’s Ladder 11 and the Jam Session w/ Kenny Baccus continues at Jazz Central. 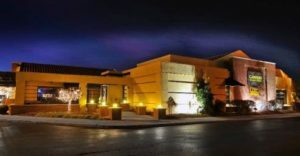 Monday February 18 – Vaughn Wiester’s Famous Jazz Orchestra is at the Clintonville Woman’s Club in Columbus and the John Taylor Trio is at the Brio Tuscan Grille in Beavercreek. Tuesday February 19 – the Hot Club of Detroit is at the University of Dayton Boll Theatre and the Part St. Tavern Jazz Jam continues in Columbus. Wednesday February 20 – Todd Hepburn is at Arnold’s Bar & Grill and the Blue Wisp Big Band is at the Wisp both in Cincinnati. Thursday February 21 – the Gererations Big Band returns to Jazz Central in Dayton and Jazz Night with Mike Teckenbrock Trio is at Spinoza’s in Beavercreek. Friday February 22 – Shawn Stanley Trio is at Carvers Steaks & Chops in Centerville, OH and Marc Fields New Quintet are at the Thompson House in Newport, Ky.
Saturday February 23 – Boudin’s Bistro & Jazz Club presents the Bobby Floyd Trio and Andrew Waters – Smooth Jazz is at the Eastern Palace Restaurant both in Columbus. 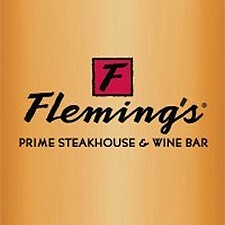 Sunday February 24 – Phil DeGreg Trio is at the MidPointe Library in Middletown and theres at Jazz Jam at Victory’s inColumbus..
Monday February 25 – a Jazz Jam hosted by Sandy Suskind Quartet is at the Blue Wisp in Cincinnati and Mark Flugge, Derek Dicenzo & Jimmy Castoe are at Due Amici in Columbus. Tuesday February 26 – Ed Moss & the Society Jazz Orchestra are at the Schwartz Point Jazz Club and Jazz Cab is at The Greenwich both in Cincinnati. It is the end of March…although the madness continues, of course! This also means that it’s the beginning of April showers. However, instead of gifts, I’m going to shower you with things to do! 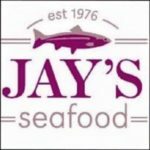 On Wednesday, make your way to the fabulous Jay’s Seafood Restaurant for their Groth Vineyards Tasting or to Bruning’s Wine Cellar for their Special Edition Tasting: All White Wines from Germany and Austria. Although Sammy’s El Pueblo in Springboro has been open for a little while, head to their Grand Opening Celebration, which will feature a live mariachi band and buy one get one lunch or dinner! Hopefully you’re like me and have your tickets to Avenue Q at Victoria Theatre (which is actually on Main Street). Entertainment Weekly called it “one of the funniest shows you’re ever likely to see,” so I am so ready to get my laugh on and I hope you are too! Just be sure to get your tickets ASAP as I have been told that there are only a few tickets remaining! (For more info on this show, check out Shane Anderson’s article on DMM.) And if you’re feeling like grabbing a beer and listening to some acoustic music, head to the Trolley Stop for the Old Time Acoustic Jam. 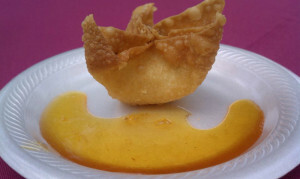 On Thursday, make your way to the PNC 2nd Street Market for Maple Syrup Maestro. 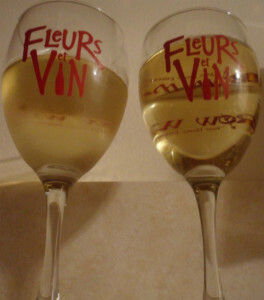 Over at Coco’s Bistro, enjoy their delicious food and 1/2 Price Wine by the Bottle. Make your way to the Dayton Art Institute for DAI Movie Night: Steve McQueen in ‘Bullitt’. FYI – “Bullit” doesn’t look like it’s speled corectlee, but when I looked it up, it waz acshually correctt. If you love live music, make your way to the Centerville Schools Performing Arts Center to watch as The Centerville Orchestra presents, Mark Wood, a musician with an impressive resume! Or, combine your love for video games with music by attending the Dayton Philharmonic’s The Return of Play! A Video Game Symphony at the Schuster Center. On Friday, don’t go out and do anything. Just be lazy, stay at home, and relax on the couch. April Fool! Of course you better not be doing that or else I’d have to try to drag you off the couch! Instead, you can make your way to the Dayton Visual Arts Center for their Auction Preview Exhibition. If you love cows and want to protect them, head to the Dayton Mall Chick-fil-A for their customer appreciation day, in which you will get a free Chick-fil-A sandwich(offered 4-7PM). I have to be honest – I am so disappointed because I LOVE Chick-fil-A but do the “no meat on Fridays in Lent” thing…I wish they had a Fish-fil-A Sandwich! Help raise money for music scholarships at Cedarville University by attending the ‘Musical Chairs’ performance. If you’re downtown, be sure to participate in First Friday, the art hop that happens the first Friday of each month. Kristen Wicker does a fantastic job telling you all about the events going on as part of First Friday, so I’ll shut my mouth (or stop typing) and encourage you to check out her article yourself…it’s really not a joke! On Saturday, all you 5K lovers should head to Eastwood MetroPark for Celtic Academy’s Inaugural 5K Race for the Worlds Run/Walk. All you art lovers should attend the Auction Preview Exhibition at the Dayton Visual Arts Center. Some theater options include Beauty and the Beast at Victoria Theatre, Bill W. & Dr. Bob at Dayton Playhouse, Joseph and the Amazing Technicolor Dreamcoat at The Playhouse South, The Boys Next Door at the Dayton Theatre Guild, and Smoke on the Mountain at the University of Dayton. Also at the University of Dayton, listen to the sounds of the Ebony Heritage Singers, Dayton’s gospel choir which will perform music from the African-American sacred music tradition. Take the stairway to the Schuster Center, which will seem like heaven as you see the Dayton Philharmonic’s performance, The Symphony Rocks: Music of Led Zeppelin. If you love football but hate to sit out in the cold, head to Hara Arena to watch as the Dayton Silverbacks play the Cincinnati Commandos. And if you love black tie events and supporting great causes, head to the Wright State University ArtsGala. I have heard that this is always an amazing event! On Sunday, THEater seems like THE thing to do! Beauty and the Beast at Victoria Theatre, Bill W. & Dr. Bob at Dayton Playhouse, Joseph and the Amazing Technicolor Dreamcoat at The Playhouse South, The Boys Next Doorat Dayton Theatre Guild, and Smoke on the Mountain at the University of Dayton are all options. Or bring your kids to the Dayton Philharmonic’s performance, The Beat Goes On at the Schuster Center. How does a cow keep track of all her appointments?